North Carolina artist Donna Slade has a lengthy career as an illustrator and commercial artist, but has settled full time into painting and owning a gallery. She shares with us her preference for Pastelbord™ and how it has fit into her move from graphite to colored pencil. graphic designer, and illustrator to recently becoming a full time painter and gallery owner. 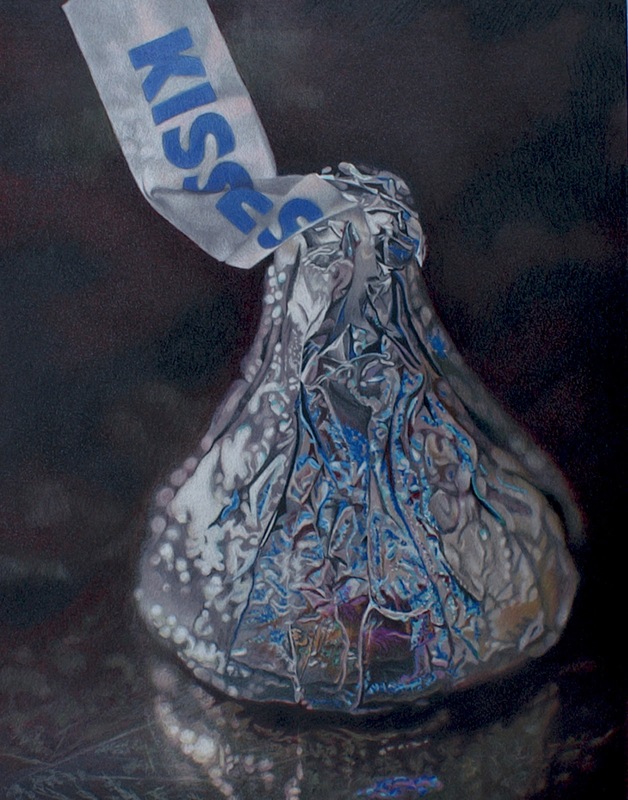 Throughout my career in advertising, I always managed to find time to paint. I tried a number of mediums starting with pen and ink and pencil, but grew tired of just the black and white art. In 1990, there was a small group of artists that were working with colored pencil. At the time, there was very little to no information and instruction on using colored pencils. Through this desire and effort to share knowledge of work with colored pencil, the Colored Pencil Society of America was founded. Today it is an international association hosting yearly, juried exhibits and local chapters across the US. I have been hooked on colored pencil ever since. This explosion of color also led me to explore pastel painting. Now I work exclusively in colored pencil and pastel. 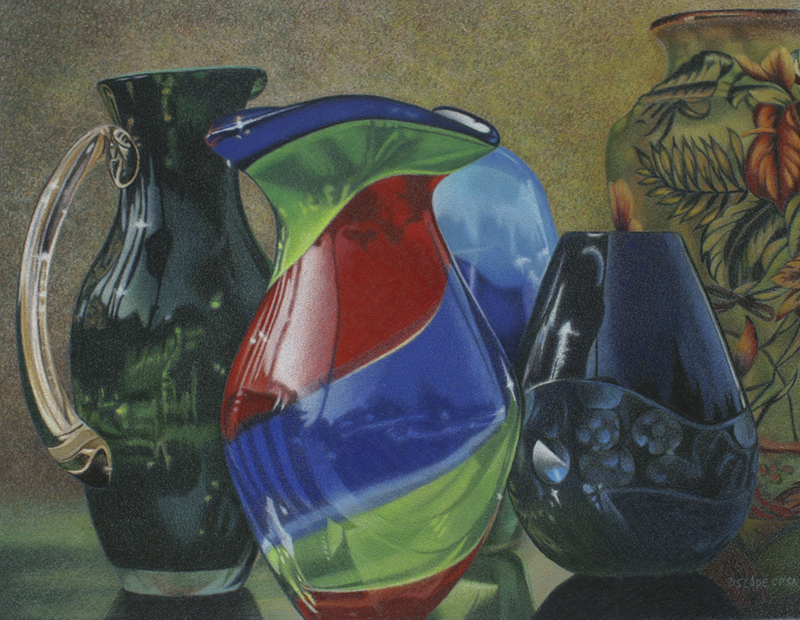 A number of years ago my favorite surface for my colored pencil paintings was discontinued. I tried a number of surfaces before I found Ampersand Pastelbord™, a clay and gesso coated hardboard panel with a marble dust finish. The Pastelbord comes in standard sizes but I also have placed orders for specific non-standard sizes as well. It comes in grey, green, sand and white. Most of my paintings are done on the grey, but I have used both the green and sand depending on the subject matter of my painting. The color grain of the board will influence the overall tone of the painting. The color background gives me a good base and saves some time with the colored pencil layering process. The surface allows the right amount of tooth to hold the pencil and pastel but at the same time allows me to put down and build up as many layers as needed. In some cases four to eight layers of color. In addition to being the perfect surface for my colored pencil paintings, the Pastelbord allows me to bypass the perils and cost of framing with mats and glass. Once I finish a colored pencil painting I use a spray varnish, Krylon Crystal Clear Spray, several layers, over the entire painting. In addition to the cost savings the paintings seem more approachable to the viewer allowing them to touch and feel the surface of the piece. I add color gradually working from dark to light. Layering allows me to build increasingly complex values, hues and textures. Because the pencil color is transparent this layering/blending process allows an endless color palette. I use a blending process of layering colors and merging them together. I gradually build the the layers of color using a light to medium pressure which gives me a rich, illusion of depth to my paintings. I keep my pencil extremely sharp at all times and use a mixture of crosshatching, horizontal, diagonal, vertical, or circular strokes.